Meet the duo behind Colorado Serenity Magazine. You know, the monthly magazine you get in the mail... the one with the large glossy pages! Be sure to sign up for their email list so you can be a guest at their upcoming Schmoozer event which will be a great networking opportunity on April 17th at the Wild Game in Evergreen. It's free to the public! I actually got the greatest compliment a few months ago. A woman came up to me who had just moved here from Michigan. And she thanked me and said that this was her "Bible" for getting involved in the community. So she was able to pick her lawyer, her doctor, her dentist, all these different things based on the information in Serenity. If you're reading this, chances are you live in Colorado and you've heard the term "CBD" before. CBD, or cannabidiol, is a fascinating topic of conversation and an ingredient derived from Mother Nature's hemp plant. Want to learn more about it? Just watch this video interview I did with the team at Pure Hemp Collective in Conifer. Want to get 20% off your entire purchase?! Be sure mention you saw this video when you come into their store! Did you know that there is a 3D printing store right in Evergreen? 3D printing is a technology that is very common among engineers, but has not always been readily available to the public. It's a way to build real objects from digital files. How it works is the 3D printer converts a software blueprint into slices and deposits layer after layer of plastic, metal or other composites until the finished product is formed. Compared to traditional manufacturing methods like cutting, carving and drilling, it takes less time and raw material. So whether you're building a prototype for an invention, you need a custom part for your hot tub that you can't get from the manufacturer, or you want a really unique gift for someone, 3D printing can take your idea from a blueprint to a tangible product. Mention you saw this interview and get a huge discount when you 3D print! Details inside. You know that thrift store that sits above Buster's Pet Supply in the STAPLES shopping center? Yup, that one. Well, it's part of the Mountain Resource Center. ​Mountain Resource Center has been around for 28 years. It's a local non-profit that has done an excellent job of strengthening the community by providing services that empower people. And not just families, either. People commonly perceive Mountain Resource Center as emergency support, but they actually offer services that anyone can benefit from, and I mean anyone. Click "Continue reading" to watch this short video and learn more about their services, as well as how YOU can get started as a client, and how you can help return the favor to such a wonderful organization. Hiland Mobile Safe & Lock services Conifer, Bailey, Evergreen and surrounding areas. They are a 24/7 mobile locksmith that can help you with all of your residential, commercial and automotive locksmith needs. Mike Upton is the Owner/Operator. Click "Continue Reading" to watch our full interview! 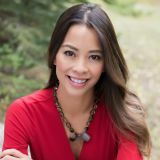 Paula Dong is the owner of Colorado Aerial Yoga and Fitness and her studio just relocated to Bergen Village in Evergreen! In this interview, Paula explains to me how everyone can benefit from aerial yoga, especially those who have suffered from previous injuries and need pain relief. Watch this video interview to learn more! 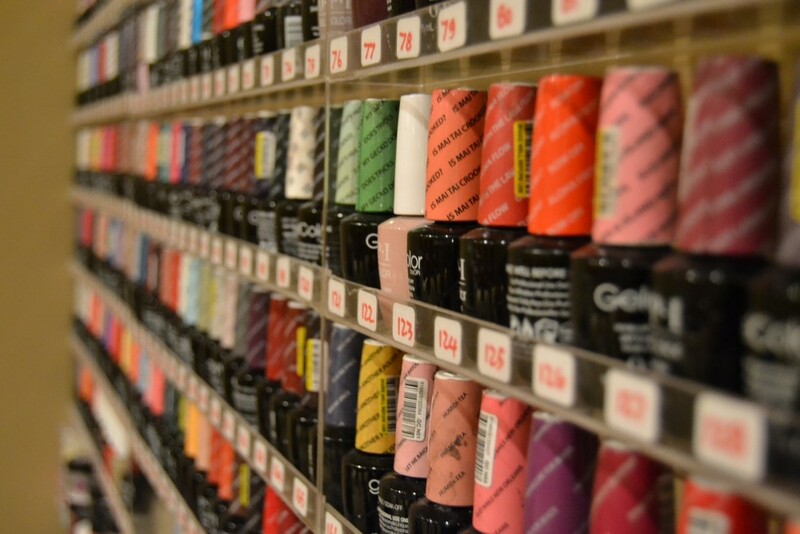 I've been seeing John and the gals at Harmony Nails for a few years now and I love that they're always so thorough. I decided to ask John a few questions (while I was getting a manicure) so that the community could get to know him a little better. The holidays are upon us and if you're anything like me, then you've got some last minute shopping to do. King's Emporium​ has something for everyone! You'll have to see for yourself and stop for a cup o' joe at Josh's Place (the coffee shop inside the store). All proceeds from the coffee shop go to support young adults with special needs. King's Emporium in King's Valley is an antique and consignment shop with 7400 square feet and over merchandise from over 80 local Colorado dealers and consigners. We sell and consign home decor, estate jewelry, lots of antiques, and so much more. We also support the developmentally disabled and all proceeds from our coffee shop go to Whole Care. Stop by on a Wednesday and meet some of the group; they make the cutest bird houses and projects, sold exclusively at Kings Emporium. We also have the giving trunk for the police and fire departments for children in tragedies, and we have flea markets in the spring through late fall.